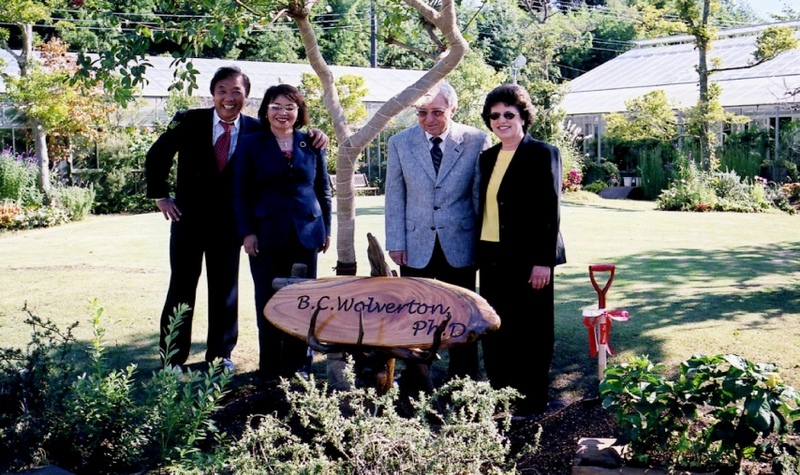 For many years, Dr. Wolverton served as a consultant to Takenaka Garden Afforestation, Inc., Tokyo's largest interior plantscape company. 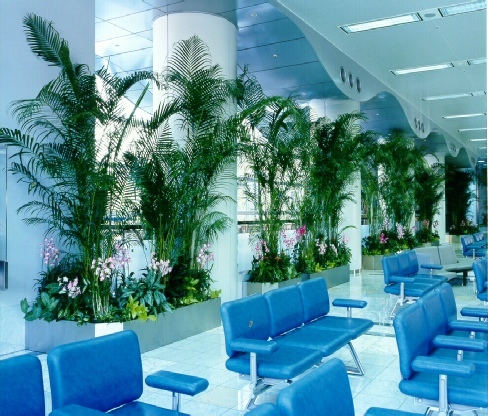 They jointly conducted research into the use of plants to improve indoor air quality. These studies led to the development of 'Ecology Gardens' for use in public buildings. 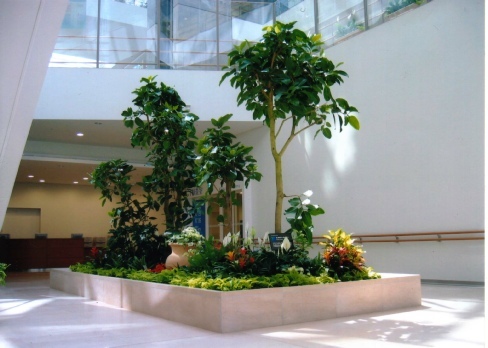 Ecology Gardens are indoor gardens that use a specially formulated growth media (Eco-do®) containing in part a mixture of activated carbon and inert materials. Activated carbon is a porous, sponge-like substance that can collect and retain certain chemical compounds on its surface. It is manufactured by burning wood, coconut shell, coal or other substances at a high temperature in a controlled atmosphere, creating millions of sub-microscopic holes in the carbon surface. Activated carbon traps VOCs and other airborne pollutants on its surface. 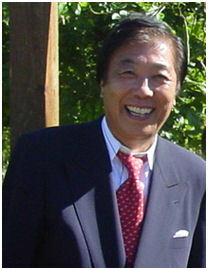 If simply trapped, the chemicals will accumulate until the activated carbon becomes saturated. Eco-do® also contains ground limestone which has been heated to 2000°C and other components. This mixture helps plants grow; traps pollutants and encourages the activity of beneficial microorganisms. It is these plant root microbes that biodegrade the pollutants into chemical components that serve as food source for themselves and their host plant. It’s the magic of nature!!! Studies show that plants in Ecology Gardens are on average about 25 percent more effective in the removal of VOCs than indoor gardens in regular, commercially produced potting soil. 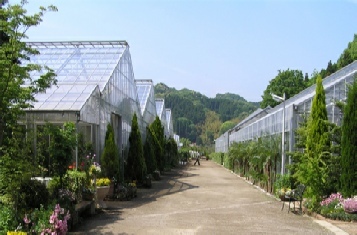 Ecology Gardens are now installed in more than 70 hospitals throughout Japan.